This recliner will hug you with comfort for hours. It features a padded headrest and plush arms. It also has an easy-to-use reclining mechanism. 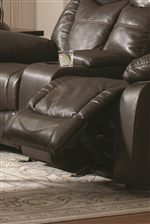 Simply push the power button on the side and it will automatically recline your head back and your feet up. 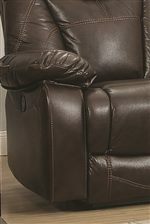 This recliner is upholstered in a breathable brown leatherette, with perforated back and seating surfaces for better airflow. 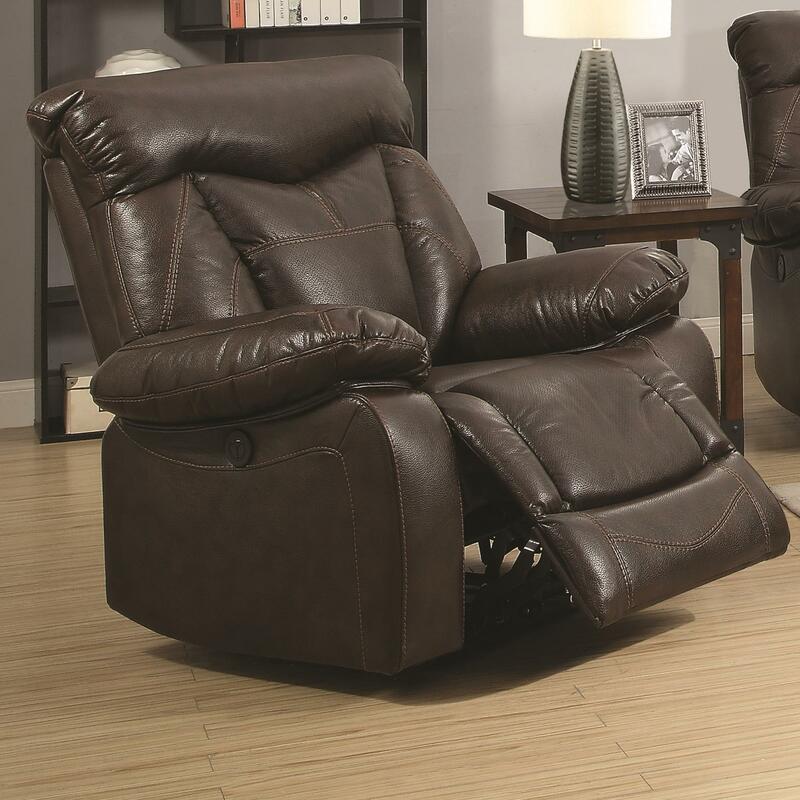 The Zimmerman Power Recliner with Pillow Arms by Coaster from Nashco Furniture - Nashville. We proudly serve the Nashville, Franklin, Brentwood, Clarksville, Green Hills, Davidson County, Williamson County, Tennessee area. Product availability may vary. Contact us for the most current availability on this product. The Zimmerman collection is a great option if you are looking for Casual furniture in the Nashville, Franklin, Brentwood, Clarksville, Green Hills, Davidson County, Williamson County, Tennessee area. Browse other items in the Zimmerman collection from Nashco Furniture - Nashville in the Nashville, Franklin, Brentwood, Clarksville, Green Hills, Davidson County, Williamson County, Tennessee area.